Careening toward a dead-end future in the small Appalachian town of Festus, he dreams of escaping to the crashing waves of the California coast. Cooper longs to break free from his neglectful, alcoholic father and the haunting memories of his family’s broken past. 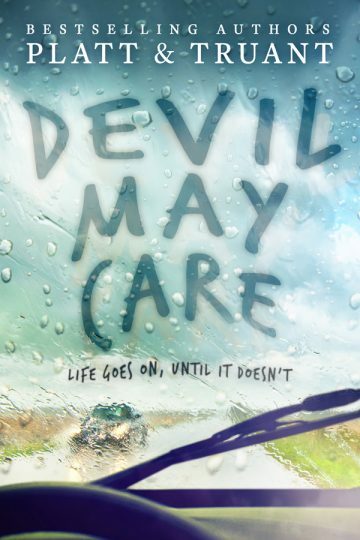 He’s obsessed with writing stories greater than his own life experience, so when opportunity presents itself, Cooper and his friend Solomon seize it, setting off on the devil-may-care adventure of a lifetime. But the open road might not bring the freedom Cooper expects. Living by Solomon’s wits and Cooper’s imagination, the two friends scrape their way toward Hollywood as fact and fiction weave Cooper’s life together with the story he’s creating about screenwriter Eddie Vale. In this intricately developed literary departure, bestselling authors Sean Platt and Johnny B Truant explore the powerful force of story and how seemingly inconsequential choices create shockwaves that resonate for decades. Platt and Truant’s masterful narrative will unravel you and challenge your understanding of success, family, and courage.